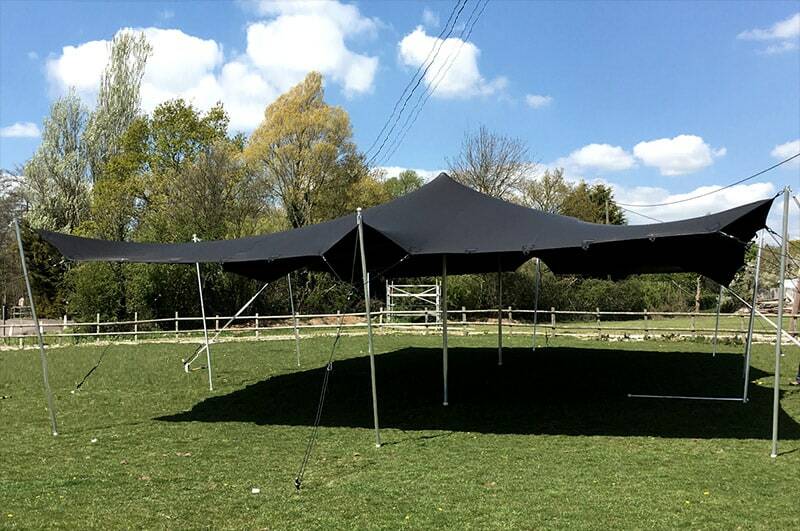 These ever-increasingly popular tents can be used for all sorts and could give your event that wow factor you’re looking for. Stretch tents are remarkably versatile and innovative structures that are relatively new to the events industry. The way that they are made means that they can be erected in almost any conceivable way and to fill even the most awkward of spots. This means that stretch tent hire could be the perfect solution for a festival, wedding, corporate event or even just to help define a space. The options really are endless, so why not try something new and see what kind of atmosphere you can create. Please don't hesitate to get in touch if you have any questions or would like to make a booking. Registered in England and Wales Number 06794975. VAT registration number 231855511. Website designed through M. Gilbert & Created By TEN.